There has been a lot of distressed property on the market in Massachusetts over the past several years, and the number of short sales has been going up as well. Short sales happen when a property owner's mortgage balance is more than the property's market value. In a short sale, the lender agrees to accept less than what the debtor or property owner owes on the mortgage from a third-party buyer. Under ideal circumstances, the mortgage lender agrees to release the total debt, including the difference between the mortgage balance and sales price, in what is called a "deficiency waiver." If you have legal questions about getting short sale approval with a deficiency waiver in Boston, the knowledgeable real estate attorneys at Pulgini & Norton may be able to help. Why would a bank choose a short sale rather than foreclosure or a loan modification? Generally, a short sale is less expensive than foreclosure, and often the original homeowner does not qualify to get a loan modification. However, a short sale does require the approval of the mortgage lender. A short sale with a deficiency waiver may be less damaging to your credit and your ability to get another mortgage later than bankruptcy or foreclosure would be. Your lawyer can draft a hardship letter to explain to the lender why you cannot make mortgage payments, and why you qualify for a short sale with a deficiency waiver. This letter should be very detailed and compelling. In order to secure approval, you will also need to submit a financial worksheet, recent pay stubs, third-party authorization, recent bank statements, offers to purchase, and other relevant documents. It can take between 60 and 120 days to obtain short sale approval, depending on the lender. A lender may make a counter offer on the purchase price. In Massachusetts short sales, the offer rather than the purchase and sale agreement may serve as the operative contract. Since there is no guaranty that a property owner will get short sale approval from the bank, and the short sale must be approved, it is a sound practice not to spend the time drafting a comprehensive purchase and sale agreement. If short sale approval falls through, most people do not want to have to pay for the expense of drafting the purchase and sale agreement. Instead, the contingency of short sale approval and financing can be built into the purchase offer, which will include the deficiency waiver. In the offer, the buyer usually agrees to be bound for an approval period of 60-90 days, and in exchange the seller takes the property off the market and does not accept other offers. Typically the deposit amount is 1% of the purchase price. 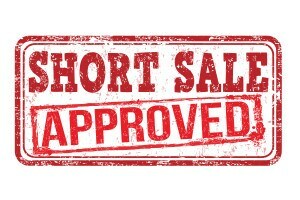 If the short sale is approved, the closing is within 30 days. Often, sellers in short sales will not allow for a home inspection contingency that gives the buyer a right to terminate. As a buyer, you may not be willing to accept the risk that there are serious problems with the property. If that is the case, it is usually better to follow the traditional procedures for buying a home, rather than purchasing in a short sale. As a seller, you can maximize the likelihood of getting your short sale and deficiency waiver approved by a lender by retaining an experienced real estate attorney. The attorney can negotiate with the lender and review and draft a purchase offer, approval letter, and purchase and sale agreement with the appropriate addendums. The attorney can also negotiate for a deficiency waiver. A skilled short sale negotiator will insist on a deficiency waiver. What happens if you do not obtain a deficiency waiver? It means that after the sale, the lender can obtain a deficiency judgment against you for the mortgage debt. The mortgage lender will need to mail a notice of intent to foreclose and of deficiency after foreclosure to the borrower at least 21 days before the sale when seeking a deficiency judgment. If you are selling or buying a Boston home through a short sale, you should retain a property transactions lawyer who has experience negotiating for a deficiency waiver. The knowledgeable attorneys at Pulgini & Norton can work to help you complete the deal without leaving yourself exposed to a deficiency judgment. We also represent clients in Waltham, Weymouth, and Braintree, among other Massachusetts communities. Call us at 781-843-2200 or contact us via our online form to schedule a consultation.